It’s simple, we save you a ton of money on auto repair. Tired of the run around? With us, transparency is key. Most shops avoid pricing over the phone. We provide you a digital copy of your estimate via text/SMS or e-mail before you arrive. 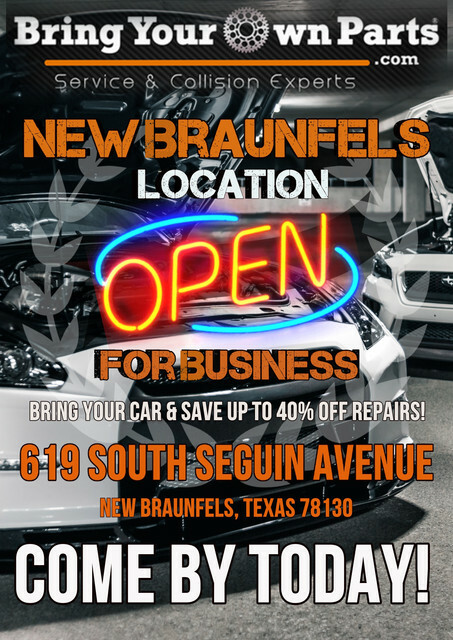 Bring Your Own Parts is a family-owned and operated, full service automotive shop born in San Antonio, Texas. 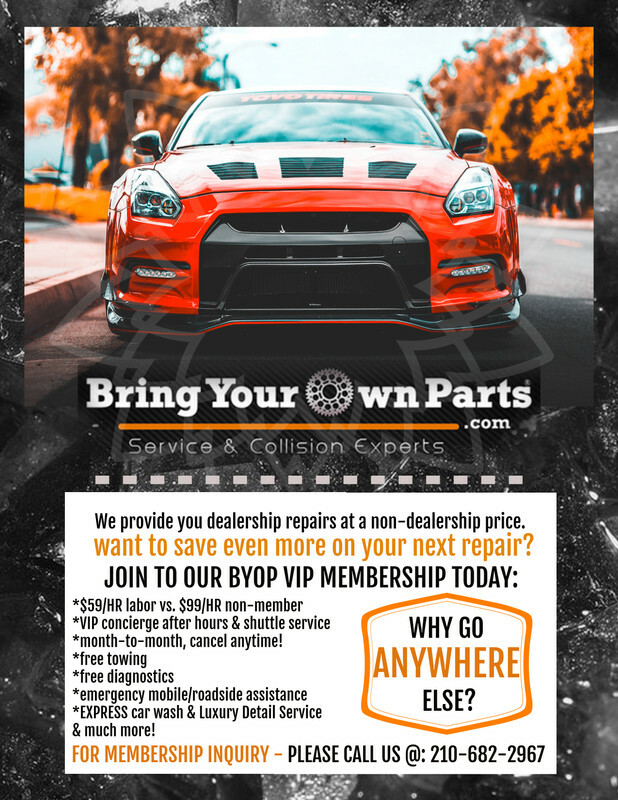 Since 2009, Bring Your Own Parts has helped thousands of San Antonians repair, upgrade, restore and maintain their vehicle. Whether it’s an oil change, performance upgrade, or paint and body work, we can help you get it done. We believe in providing the best customer service experience at the lowest prices. Bring Your Own Parts isn’t a directive, it’s a concept. We are changing the automotive industry by eliminating the high markups on parts that most shops charge. My truck wasn’t running at all and the machanics at bring your own parts on bandera rd did everything they had to making sure it was mobile agaim and safe. The Service was excellent and everything was done in a timely manner. These guys are amazing. I bought brake pads and brake rotors. I didn’t realize my car had other parts that was required to do a brake job. Needless to say these guys hooked it up. They quoted me a price which was a little to high for my budget. But they were able to negotiate with me. Highly recommend this place for your car needs. I know I will be returning. The service was awesome , they informed me of what needed to be done. No hidden costs, or last minute charges. Definitely recommend. Subscribe For Latest DISCOUNTS & PROMOS!